More and more clients are looking to bring the indoors out. They want to extend their home's square footage with sunrooms, back porches, decks and patios. For as bright as those rooms are during the day, as the sun goes down, good lighting is always a necessity. We found some wonderful options for porches and patios that are sure to light up the night. This Crimp Chandlier by Global Views is clean and contemporary. 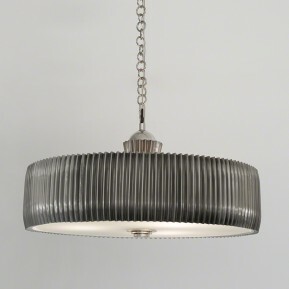 The heavy chain and the nickel crimped metal shade nod to an industrial feel that goes great in a transition space like an enclosed porch or sun room. Global Views does it again with this Julia Buckingham Tealight Chandlier. The vintage glass shaped vessels hanging at various lengths creates a statement piece. 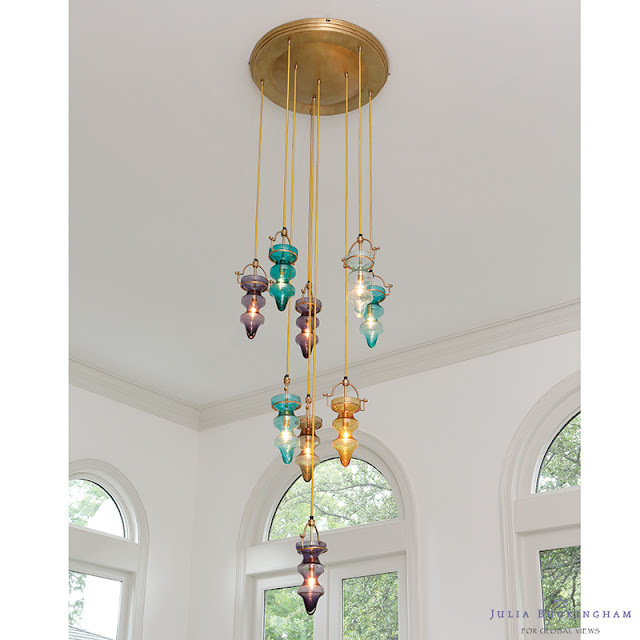 The colored glass will reflect beautifully off the light streaming into a sun room during the day and create a romantic ambiance as the evening rolls in. 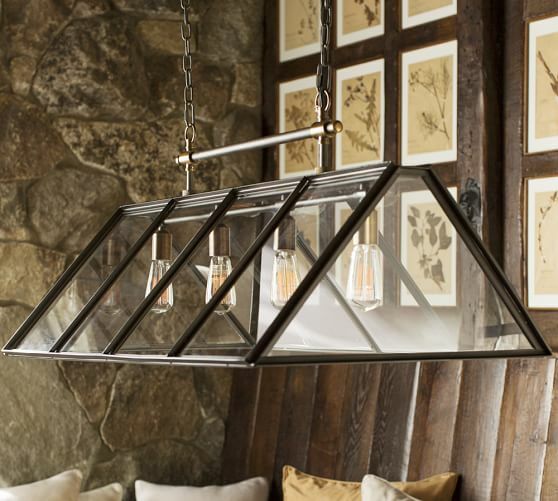 This indoor/outdoor Greenhouse Chandelier by Pottery Barn is simply gorgeous. We love the clean lines reminiscent of an actual greenhouse structure paired with the dark bronze finish and the heavy chain. Edison bulbs are a perfect rustic touch for this instant classic. What to do if your ceiling is the night sky? 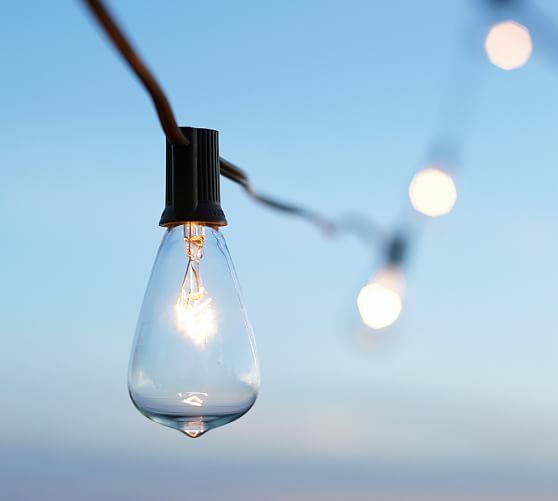 These Edison String Lights by Pottery Barn add a perfect touch of light in open air spaces like patios and decks. The vintage look and the bare bulb will give any space a touch of elegance while keeping the scene relaxed.